If you like a more country look, a rustic classic, Swiss Hardwoods Vintage Castle Brown is aesthetically pleasant and its antique look adds a lot of sophistication to your home. This engineered floor is also practical as it is not just beautiful but extremely durable too. 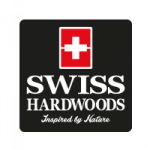 At Swiss Hardwoods we use Rubio Monocoat® Fire Retardant Oil as our surface coating. Plant based with no chemicals and is 100% VOC free, safe to use and great for the environment. Oil penetrates deep into the wood providing long term protection against everyday use while also leaving a protective layer on the surface to protect the floor against water, wine and other irritants. Never needs sanding and even if it endures any damage for instance any scratches that appear, unlike lacquered floors, with an oiled floor there's no need to sand and refinish the entire floor. A "spot repair" at the point where the scratch is and a small amount of oil is applied to the affected area. Very quick and easy to repair.